If you could peel back the layers of Karen Annett-Thomas’ paintings you might just find gold. Like the fortune seekers that came and turned our landscape upside down, Karen has likewise mined it. Figuratively speaking. They’re quietly waiting on the Bendigo Art Gallery walls to be shown as the second Going Solo exhibition. It’s a coveted show dedicated to one local artist. Karen has exhibited widely, but says being chosen for this show is something very special. Gallery curator Clare Needham visited Karen in her home studio during the year-long process of making these works, then helped make the final selection. These paintings were made from spring to spring, and the changing seasons can be felt in the pigments, many of them taken straight from the box ironbark forest surrounding Bendigo. Earth, charcoal, even the dry, hollow husks of dead birds. Karen combines them with wax, oils and hand-made painting mediums. Memory and emotion. Karen adopted the same principle for her PhD works, completed during her studies with La Trobe’s Bendigo campus in 2006. She took up an arts residency in London during the last year of her PhD, and spent time on the battle fields of the Western Front in France. Again she gathered pigments from that place, and created a series of works that explored memory, loss and absence. Those intangible truths just below the surface. “I find that here all the time, too,” she says, of Bendigo’s turned-over earth. This current show is called Out of Winter. Karen speaks of working in her home studio – a re-purposed shed she shares with her mechanic husband, with no heating, no insulation. Winter’s chill can be felt in the works. And then there’s a warm splash of yellow. Of hope and healing. It speaks of coming out of the cold and into the light. In this case, the lovely soft glow of Bendigo’s much-loved gallery. 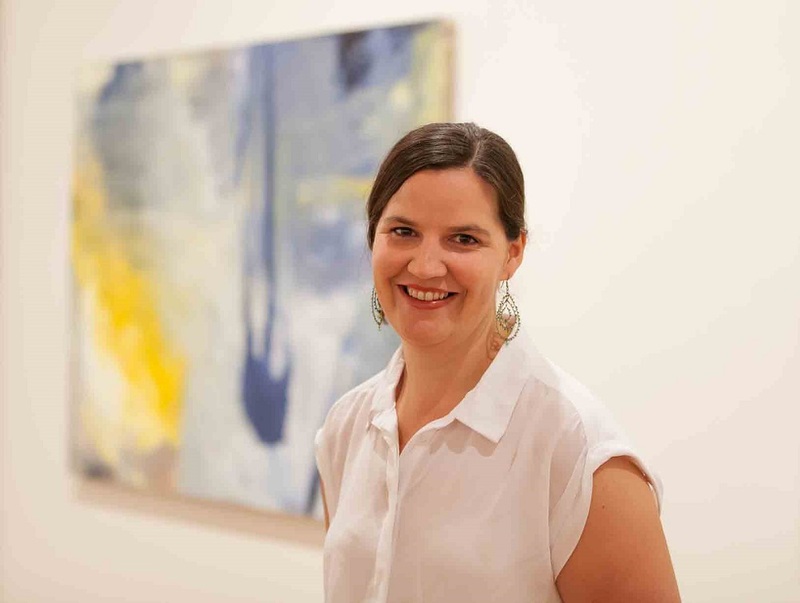 Karen Annett-Thomas is an honorary associate with the La Trobe Arts Institute. She also works at the La Trobe Visual Arts Centre. 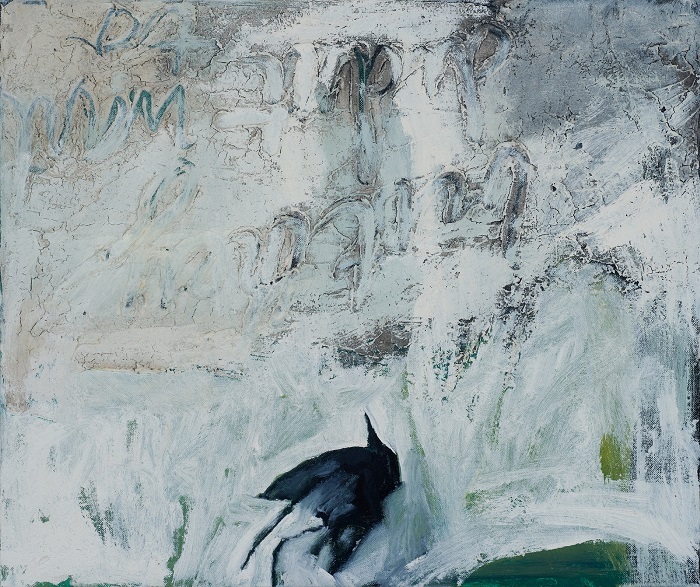 Out of Winter will be on show at the Bendigo Art Gallery from November 28 until February 21.